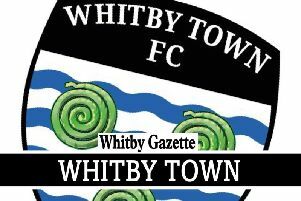 Darren Williams has stated that he has no intention of quitting his position as manager of Whitby Town. The Blues have won just once in their last 16 league games and currently sit second from bottom in the Evo-Stik Premier Division. Yet, the former Sunderland star believes he is still the right man for the job and says that it is not in his character to walk away from the challenge of trying to improve the club’s fortunes. “I’m not a quitter, I’m not going to walk away because it wouldn’t be right,” he told the Whitby Gazette. “I still believe in the players at this club and I am confident that we can turn things around. Williams took over as Town gaffer in October 2011 with the Blues looking doomed to relegation, yet he masterminded a spectacular final day of the season escape. He has since guided the club to 12th, 9th and 13th-placed finishes. “When I took over as manager the club were preparing for life in the division below,” he added. “I think we were 13 points from safety and nobody gave us a chance of surviving.